Parishes were not just about the tithes, upkeep and pastoral care of the local Church. From the time of the Tudors, parish officers were also responsible for the poor, the highways and petty law and order within its perimeter. Local inhabitants grazed their livestock on common land within their parish. Hence, precisely of what land a parish consisted became more and more important. For example, a stranger might die within the parish boundary. The cost of his burial was bourne by the parish. Now, if he perished near the parishes’ perimeter, then it was a simple matter to heave the corpse into the next-door parish - just so long as their officers didn’t heave it straight back. So, through the centuries (and without maps and with a largely illiterate populace), how was the boundary of the parish remembered and its area of jurisdiction preserved? This was no easy matter for rural parishes - especially if they were large. 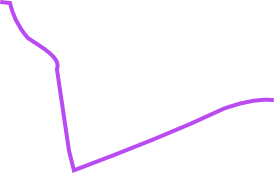 The boundaries were marked by immovable lines created by lanes, ditches and rivers. There were also large stones or boulders and trees which were recognised as being part of the margins. At regular intervals, perhaps even annually, the parish priest and his officers, accompanied by local residents and children, would walk around their border to cement in several minds the knowledge of exactly where the parish ended and the neighbouring parish began. Perhaps the priest would intone a Psalm or a blessing when the markers were found. The children might beat the pivotal stones or trees with birch or willow boughs or might themselves be beaten or bumped on the markers as an extremely personal aide memoire This was known alliteratively as ‘beating the bounds’ or ‘perambulating the parish’. The exercise could take days to complete. Even today, perambulation is quite lawful - the photograph above was taken at St Albans in 1913 - (though only once in three years) and parish officers have the right to enter private property to complete their task. Expenses properly incurred (including the cost of refreshments but not music) could be paid from the rates. Until recently, the only reference to beating the bounds around Preston was discovered in Reginald Hine’s ‘History of Stagenhoe. 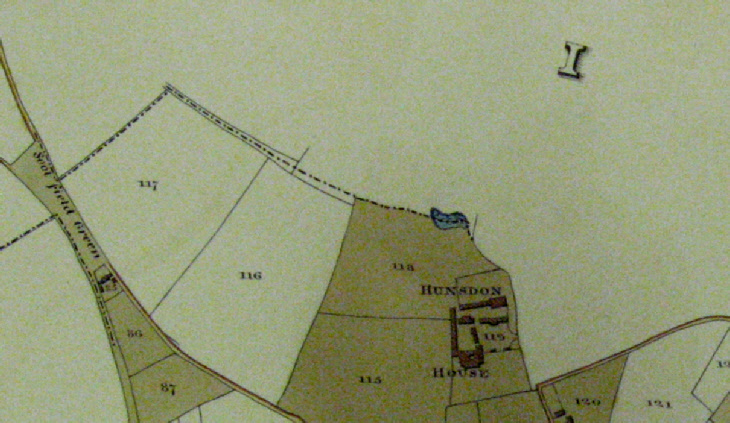 He commented, ‘The acreage and boundaries of Earns Field Wood were certified by George Wright of Preston Hill (Farm) who declared himself “well acquainted with the tenure and position of the said wood from the fact of my having acted as Overseer and having in exercise of my duties in that capacity beaten the bounds of the parish as an annual custom”. However, a document has come to light which describes in detail the walking of the Hitchin parish boundary in 1801. This is reproduced below - the portions in blue being those that refer to Preston and its environs. Also shown are extracts of a map dated 1811 which show the parish boundary. 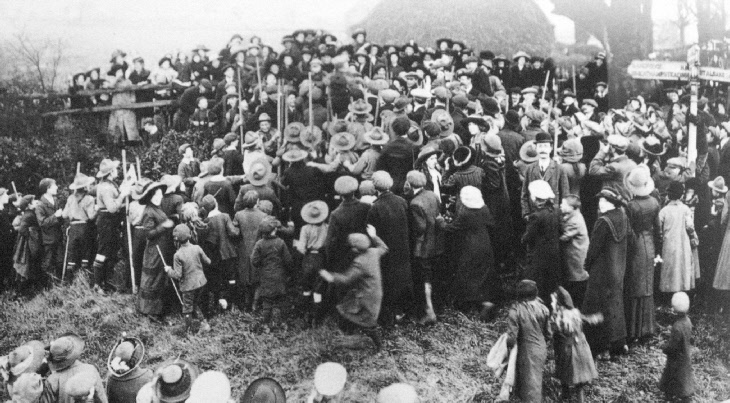 A few comments about the description of the perambulation: a number of trees are mentioned as landmarks, including one that no longer existed; apparently the route took the procession straight through two mills, which the officers had the right to so do; property inhabited by my ancestors is mentioned as part of the border - Braddens orchard and close at Charlton; the perambulation took three days; Joseph Darton took part. Church wardens: Thomas Paternoster, Thomas Topham and Michael Dear. Overseers: Thomas Crawley, William Button and Joseph Darton. .....then turn to the left down the lane (that being the boundary) to the Chequers signpost.... D turn to the left down the road leading to Hitchin as far as the first cottage....turning to the right E into a field called The Park belonging to Temple Dinsley inclosing the same to the corner of the old malting, inclosing the same to an oak pollard, the corner of Dove House Close....from thence to the north-east corner of the brick barn....from thence through the farmyard belonging to Temple Dinsley.... F through a barn into the rickyard....then going by the side of the clipped hedge as far as the stile in Geddens Pasture (a field so called)....going thence in a direct line opposite the middle of Rase Field hedge, cross St Albans Highway G ....and keep straight up the same field to a stile opposite Seven Acres gate....then turn to the left along the lane keeping the same to the London Road....turn to the right inclosing Trunks House, through the hovel leaving the most part of it on the left side....bearing a little to the left across the sward to an elm tree....then inclosing a field called Clerks to a pond....into Stockhole Lane keeping the lane to Stockhole Gap....bearing to the left into Stockhole Field and turn to the right along the bottom of the same and keep along the bottom of the common as far as the first balk, then bear to the left across the balks; turning to the right and go a little to the left of the gate going into Caves Spring....through the spring keeping along the top of Common Shot into the upper corner of Lower Stoney Field....to the road leading to Stevenage, leaving to the right across Stone Field to an ash tree....then bearing a little to the left to an oak pollard....through Stone Field Spring....to the left up Dies Field....to the right about 28 poles (one pole = about five metres)....then bearing to the left by Brummins Wood....inclining to the right under (blank) Wood, through a field called Thirteen Acres, inclosing the whole of it to a lane leading from Dies to Norton Green....keeping that lane ‘til you come to a green lane leading into Burleigh Fields.... keeping along the bottom to Burleigh Bottom (near the 29 Mile Stone), cross the turnpike road inclosing the whole of Burleigh Bottom Mead....leaving Grafferidge Wood on the left....cross Boughiss Bottom (a field so called....inclosing Langley Hill, inclosing the whole of Sutt Wood, inclosing Brewers Hill, inclosing Lamast Wood to Lay Field....inclosing Queash wood, inclosing the ten acres belonging to Hill End Farm....and the whole of Hill End Grounds to the top of Hitch Wood to St Albans Highway....crossing the road into Further Bushey Field belonging to Temple Dinsley, the whole of which we inclosed and kept the foot path to the south corner of Further Burry Field..
....then kept the lane leading to Preston to a cottage belonging to Mr John Gootheridge in the occupation of John Craft, leaving the cottage on the left hand....and bearing straight to the south corner of an orchard belonging to John Princept Esq. occupied by John Brown keeping that ‘til you come to the corner of a Sward Field of Mr Gootheridge, turn to the right through the hedge....inclosing the whole of John Princept’s land to Pains Field... H .then went direct across Pains Field to the rails at the corner of Long Mead....inclosing the whole of Long Mead to an oak tree about 6 or 8 poles from the corner of Pains Field Wood I....from thence inclining to the right through the hedge into Long Mead and crossing the same to the spot where willow pollard formerly stood....keeping in a direct line about 2 or 3 poles to the right of the gate at the corner going into the lane (that being the spot where a cottage formerly stood), through the hedge into a field called Stockings....going in a kind of angle to the west corner of the same field....through the hedge to the bottom of Dead Woman’s Lane J – the lane so called being the boundary to Sutfield Green as far as the gate going into Twelve Acres Sutfield belonging to Offley Holes Farm....there, turn to the left and keep the road-way to the upper riding in West Wood....there being an old ditch and bank through the wood a little to the left of the riding which is the boundary to the south corner of Upper Cherry Tree Close....turn to the left and inclose the whole of the field and (blank) Wood....turn to the right down an old lane leaving a small wood of Lady Salisbury’s on the left....inclosing Cherry Tree Closes, Colliers Bank and the whole of Offley Holes Farm, the Offley road being the boundary as soon as you come to it....keeping that road ‘til you come to the lane leading from Offley Holes to Pirton....turn to the left, to Offley Cross and keep the road to Manleigh Highway and then down the ditch leaving the whole of the road in Offley Parish to the corner of Pirton Field....turn to the right to Oughton Head, the river being the boundary to West Mill, in at the mill window and through the mill....keeping down the stream to Priests Mill, through the mill and keep down the stream to Masons Mill, taking the whole of the mill and leaving the house in Icklefield Parish....in the mill, from thence down the stream to Grubs Bridge....turn to the right inclosing a field called Pitchets and keep the lane to Norton Bank....from thence to Letchworth corner (leaving the new Inclosure on the left) to the east corner of Mr Pettengle’s Gardens (a field or fields so called), the hedge being the boundary to the road leading from Walsworth to Baldock....cross the road and keep all round by the hedge, that being the boundary leaving out the whole of Mr Williamson’s land, to the south corner of Kimbelow (a field so called)....turn to the right down the road leading from Walsworth to Willian as far as Diggins Dell....turn to the left along the lane leading to Purwell Mill as far as the north-west corner of Dry Close....crossing another close to an elm tree....turn to the right to the corner of the Waggon Hovel at Purwell Mill....through the back water leaving the whole of the buildings on the left, to an ash tree near the gate....from thence to the place where the back water meets the brook – the brook then being the boundary to the Stevenage road, inclosing the whole of Mowbray’s garden....turn to the left to the corner of a field belonging to Mr Pierson and inclose the whole of that....then keeping the road to Chappel Lane. End.